love this podcast so much! Tally is such a compelling presenter. Every series has gripped me in the same way. More More More! First Day Back is a documentary podcast series about people facing and trying to overcome life’s most challenging moments. Each season, host and creator Tally Abecassis tells the story of someone attempting their own personal comeback. 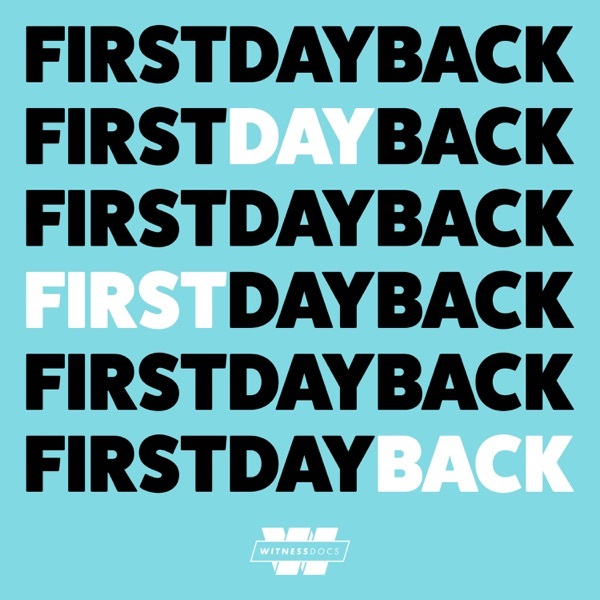 In 2019, First Day Back is back. On May 3rd 2017, comedian Jason Weems collapsed on stage from an asthma attack. His heart stopped beating for a full 5 minutes. Jason was lucky enough to be revived by a member of the audience. Now the Baltimore comedian is dealing with his death the only way he knows how: by making jokes about it. Jason wants to turn these jokes into a 1 hour special that he hopes will make him a household name. There’s one month to go before Jason is set to perform his new special and the pressure is on. It’s a mad dash to sell tickets, finalize his set, and get everything in order to film and shoot the special. Will Jason make it to the special or will the pressure of putting on the show derail him? It was so bad, his heart stopped. Sixteen hours later, he was barely alive, recovering in a Philadelphia hospital. This season on First Day Back, host Tally Abecassis follows Jason as he tries to come back…from death. He wants to keep doing comedy— the stage is where he’s always felt the most alive. But now it’s a place of real trauma. Can Jason Weems transform the worst thing that ever happened to him in to the event that changes his life? Listen to the trailer now and subscribe on Stitcher, Apple Podcasts or wherever you listen. New episodes drop every Wednesday beginning January 23, 2019. Lucie obsesses over Gerry’s death, her regret about what she did and her inability to remember what happened the night she killed him. How will she find some sliver of peace? Her search for forgiveness leads her to an unlikely source. Once Lucie gets her day parole from prison, she has one foot in the correctional system and the other in the regular world. She gets tiny rations of freedom in the transition house where she lives, but she soon realizes her crime is going to follow her wherever she goes. Lucie is charged with first-degree murder after police arrive at her home and find her husband shot dead. She hires a top lawyer, but there’s one huge problem: How do you defend yourself when you have no memory of what happened? Lucie and her husband Gerry were together for 13 years. People called them lovebirds. Until the fall of 2010, when she shot and killed him. And here's the thing: Lucie has no memory of killing him. This season on First Day Back, how do you come back from the worst thing you’ve ever done when you don't even remember doing it? First Day Back returns this season with the story of Lucie and Gerry, lovebirds who were together for 13 years. Until the fall of 2010, when Lucie accidentally shot and killed him. And here's the thing. She has no memory of killing him. Lucie's story isn't just about what she did, it's about the aftermath. How does she come back from the worst thing she's ever done, when she doesn't even remember doing it? Season 2 of First Day Back debuts April 11, with new episodes out every Tuesday. What happens when Tally's life starts mirroring the subject of her film? Also she talks to a 97 year-old woman and a Millennial who both reject the idea of "having it all". In this episode, Tally meets her old producer, who cautions her that she is re-entering a different documentary industry than the one she left and Tally’s son Jack throws her a curveball.